It's been a pretty dismal month on the skincare side of things. I'm starting to think that I just want to buy sampled sized products from now on. Throwing caution to the wind I want to have a mini tantrum and yell "I don't care about the value anymore, I just want products I can finish in weeks... Not years!" I finished ONE product even though I have pictures of 2 products. This sample of Glam Glow... I don't even know what it does or how to use it. 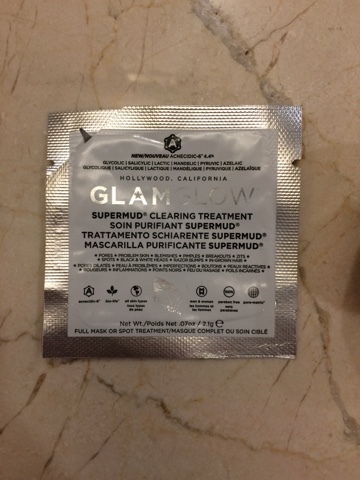 First of all there was so little product in the pouch and a huge air bubble that I didn't know if it was supposed to be a mask or a leave on treatment. I assumed it was a mask because it was a little bit gritty. I applied it before I stepped into the shower with the intention to rinse it off at the end of my shower. I swear I wasn't more than 2 minutes into my shower when the baby woke up screaming and my husband came to get me. So I don't even know what this stuff is supposed to do. Excuse my chipped nail polish. This product was a birthday gift from my brother in 2010. Yes. I've had this for FIVE AND A HALF YEARS and just finished it. I learned from my mom to keep creams and lotions in the fridge. 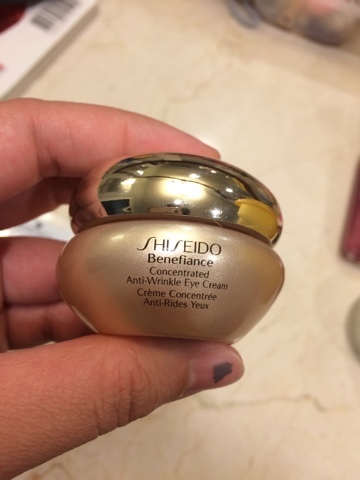 Anyways, this is a really thick eye cream that I think would work best on mature dry skin. I started using this as an all over face and neck cream just so I could finish it. It is really thick to the point of staying tacky and sticky on my skin for up to 10 hours. I liked it because I felt that it hydrated my skin for 24 hours. I really wanted to be done with it because it sat on top of my skin for hours and turned my face into a flyaway hair trap. I hate the feeling of hair getting caught on my face or lips because of products I used. It's akin to walking into a spider web for me. Yuck! Anyways, I'm working hard to downsize so that I can keep just what I need and/or make my own skincare. Does anyone ever feel the same as me about products that just never end?